Which yogurt should I buy? Here is seven that I considered. Do you eat yogurt? I was absolutely amazed by how many yogurts were staring back at me on the shelves of my local supermarket the other day. Every one of them was claiming great things! 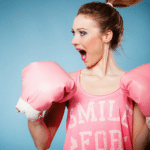 All the marketing buzzwords are there competing for you to pick them up and get scanned at the checkout. Ca-ching! Digestion, prebiotic, bifidus prodigesis, actiregularis, low fat, 98% fat-free, no artificial colours (they forgot to mention flavouring though), and on and on they go. 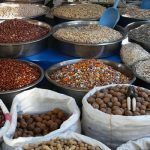 After scanning the food labels of some of them I was inspired to buy a few and share my thoughts on them. From the brands I eat to ones I wouldn’t feed my cat with (if I had one of course). 1) If you were to obtain natural yogurt straight from the farm, then add a piece of fresh fruit, it would go rancid over the next few days as the yogurt would break the fruit down. Ever wondered why this does not happen on the supermarket shelves? To overcome this, manufactures use stabilisers and preservatives… chemicals in other words. This is considered acceptable practise. Personally I avoid as many products as I can that contain chemicals, as they all add up. 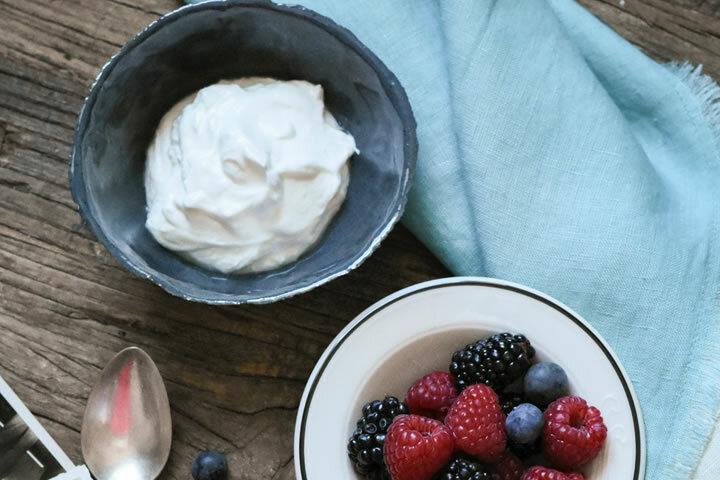 If you like your yogurt with fruit, simply buy natural yogurt and mix in a spoonful of fresh berries. This is a much better alternative. I often do this and mix a serving of 180 Natural Protein SuperFood for a much healthier snack. 2) Something to think about… Approximately four years ago I spent a weekend involved with The Weston A Price Foundation, a nonprofit, tax-exempt nutrition and education foundation. 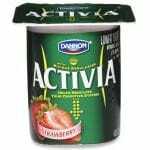 They tested all the commercial leading brands of yogurt at the time for live bacteria and found most of them were dead as a doornail. Including the flavoured yogurts that claim differently! The yogurts that did have a little bit of life in them where your full fat natural yogurts that have minimal ingredients, with Bornhoffen yogurt coming out on top. That was four years ago, so I can’t speak for any of them now, but it’s certainly something I consider when I buy yogurt. 3) All dairy will naturally have a certain amount of sugar in it (lactose). 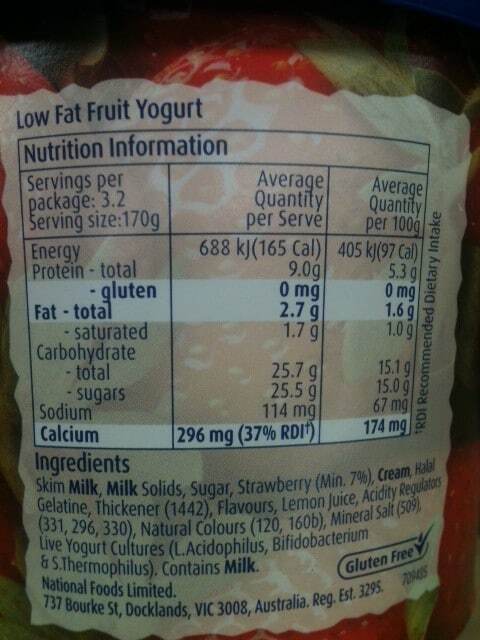 When buying yogurt I also look at the sugar content per serve, not the fat content. I avoid any brand that claims to be fat-free. Why? As they have removed the fat to reduce the energy per gram and have replaced it with sugar. 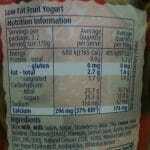 The sugar content is much higher in the flavoured yogurts than the full-fat natural yogurts. As you can see by this picture (yogurt 7 on the list), they have even highlighted the fat and calcium to keep you distracted from the sugar content. (Click here to enlarge). If you are genuinely concerned about your health or are trying to lose weight, reduce your sugar intake. Sugar is your enemy, not your sweet tasting friend. Keep your daily sugar intake low. Why compound it? With this in mind, I’ve listed below 7 leading brands of yogurt and their sugar content. I stick to the top four listed when I eat yogurt. I generally eat this yogurt when it’s in stock. Can be found in most small independent food stores. Not in many commercial supermarkets. Can be found in most commercial supermarkets. A bit higher in the sugar content but still a good option and happy what Weston.A.Price foundation had to say about it. Another good option. This is a European set style yogurt. Can be found in most commercial supermarkets. Very creamy and tasty. Can be found in most commercial supermarkets. A bit higher in the sugar content but still a good option. I don’t see what is active about it when loaded with preservatives. Can be found in most commercial supermarkets. High sugar content and contains preservatives/flavourings. I do not eat this. Claims to be full of live culture which I struggle to believe. Can be found in most commercial supermarkets. High sugar content and contains preservatives/flavourings. I do not eat this. How can it be creamy when they’ve removed the fat? I don’t like the deceptive food label on the back either. Can be found in most commercial supermarkets. High sugar content and contains preservatives/flavourings. I do not eat this. There are many yogurts I haven’t mentioned as the list would be extremely long, including local alternative yogurts. But you get the general idea. If you eat yogurt I’d love to hear your thoughts on the brands you eat and why? While yogurt can make a tasty snack, it really doesn’t cut it as a nutritious breakfast or meal replacement. 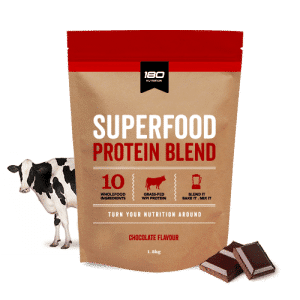 Try this easy recipe and quickly transform your favourite yogurt into a superfood brimming with protein, great fats, vitamins and minerals. 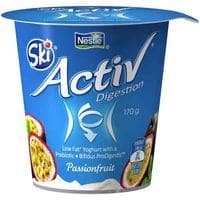 This is my favorite yoghurt, by Five:AM. I think the sugar content is middle of the range, but I am happy to indulge because it tastes amazing and is free from all the nasty chemicals. I used to eat Bornhoffen but I don’t see it in WA anywhere- maybe I need to look harder. What do you think of those two? Am I doing okay yoghurt wise? I’ve been having Valia but I think I might need to change. Thanks for sharing with us Sylvia… Sounds great! Gippsland brand yogurt is the best. The blood orange flavor is so addictive and I love the chunks of water melon in the red one. B-d. Farm Paris Creek (a South Australian product) bio-dynamic yoghurt for me. Ingredients are biodynamic milk & probiotic cultures. No genetic engineering, non-homogenised milk, no preservatives, no added sugar, no thickeners. Fat total 3.7g per 100g, sugars 3.3g per 100g. They also make the most delicious bio-dynamic milk, so rich & creamy & nothing compares with the taste. We eat Easiyo. How does it stack up? 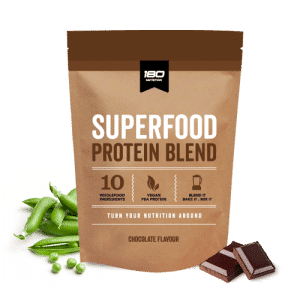 It has less than 2g of fat per 100g, it is incredibly creamy, it has double the amount of protein and calcium than in regular yoghurts and 50% more iron. 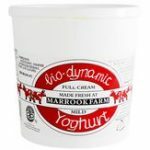 It is by far the best yoghurt in terms of flavour and nutritional benefits on the market. If you haven’t tried it you’re seriously missing out! Great article Guy, the yoghurt debate has been raging in my office f0r sometime now and also the ‘but its fat free’ conversation has come up more times than I would like to count!! Also being slightly lactose intolerant, its amazing I can still enjoy a low sugar natural organic yoghurt such as the Jalna but not the sugary ‘goodness’ of other yoghurts. Will pass this onto the people for reading and hopefully a new raised awareness. What about the low fat greek yoghurt ? Farmers union and others make low fat and fat free greek yoghurt. Barambah All Natural Yoghurt is great!! What do you make of CoYo? It’s made from coconut therefore dairy free and great for a vegan like me. It’s full of fat but I’d just like to see what you think of it. I eat Harris Farm unsweeted natural yoghurt. It only has 2.2g sugar and no persevatives. Bit confusing how the list was of 7 bestselling yoghurts but you only recommended the first few, perhaps should have formatted in 2 sections (good choice/bad choice) to make it easier for the reader, in that people are used to reading articles like this in certain “Health Tips” structures/formats. Hey Michael just for your info I read your comment and I re read the blog and I am a bit confused with what you said ie. you spoke about the 7 best sellers but I could not find it anywhere in the blog wher 180 “recommended” any brand. Just saying. Just wondering if this has been updated? There seem to be a new batch of “organic” and greek style yoghurts on the shelves, and I’d like some help decoding them. I have used/made Easiyo for a few years now but my husband has now discovered the Farmer’s Union Greek Yoghurt (full fat) and loves it. We visit France frequently and have grown attached to fromage blanc. We both agree this particular Farmer’s Union yoghurt tastes very similar. I’m thrilled to find that the yoghurt in my fridge is #3! 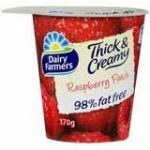 What do you think of Tamar Valley No Fat yoghurt? Excellent article as usual! Thanks a lot!! I did the same analyse when I realized how much sugar has my kids yogurt!! I was in shock!! Im glad to see one of my best options in your post. 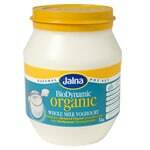 Jalna Bio dynamic is really tasty, speecially if you mix it up with berries. There is also another Jalna option, (greek – sweet) with 9 g sugar per 100g serve but not sure about this one. How is the maximun of sugar per 100 g serve you recomend? I found Bornhoffen through my sister-in-law and I love it! The high count of live cultures does it for me. To me, the “higher” sugar content means it tastes creamier and sweeter, so I’m less inclined to hit up the chocolate later on! What about Barambah. ? I think that’s how it’s spelt. Tis unhomogenised. I know low fat equals more sugar but would you buy a low fat alternative if it contained more protein, and only a slight increase in sugar per 100g? For example, I have been buying the low fat Farmers Union greek yohgurt. It contains 7.3g protein and 9.3g of sugar while the regular only has 5.5g of protein and 7.2g of sugar. I like to cut up oranges and kiwi fruit into pieces and add it to my yoghurt. Alternatively, mixed nuts and yoghurt will fill you up quickly. Hi Ange thanks for the info – can you provide more info re: fat soluble vitamins? I just checked the label on Farmers Union full fat Greek yogurt in my fridge as I was surprised to read it is 7.2 grams per 100 grams and’ the label reads 5.2 grams per 100 grams. Mind you the front of the container looks slightly different from the one posted here. I’m in SA so maybe we’re just sweet enough.